Will we see the Samsung Galaxy Note 13.3? No, this isn’t a duplicate post, Samsung is working on a 12.2-Inch Galaxy Note tablet. However, that is not the only giant Android tablet they are working on. 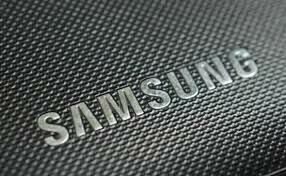 Supposedly, Samsung is also developing a 13.3-inch Android tablet to launch later next year. It looks like Samsung believes 2014 will be the year of the tablets. Not only are they throwing out a ton of new tablet devices, they have upped their estimated tablet sales projections to a whopping 42 million. Of course, this will be for all of their tablets which will range in size a great deal. If this newest rumour is true we will have a wide range if new Samsung tablets: 7-inch, 8-inch, 10-inch, 12-inch and 13-inch. We will know something more concrete in January at CES. Samsung recently released the Samsung Galaxy S II which is arguably the best Android smartphone out at the moment (even possibly the best phone in any OS category) but they felt that having this title wasn’t enough, they wanted to own the title of biggest Android Smartphone in the world too. Introducing the Samsung Galaxy Note’s 5.3″ monster of a screen. The screen is a SuperAMOLED HD screen with 1280×800 pixels producing a PPI of 285 which is quite stunning considering the screen’s size. Behind the hood are an 8mp camera, a 1.4 Ghz Dual Core processor, the ability to record in 1080p and 1GB RAM, so this is definitely one of the leading phones in the market specifications-wise. However, the big question is: with the 5.3″ screen giving the phone the dimensions of 146.9 x 83mm, is the Samsung Galaxy Note too big to use for daily use, is it too big to be considered a proper phone or should it be considered a tablet with an in-built phone? Well read on to find out my opinion on this quite marvellous handset.